Our firm has been run by our founding partners, John B. Newman and Daniel P. Simpson, for nearly three decades. 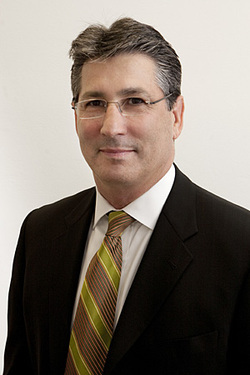 In January, 2012 we were very pleased to announce that Daniel J. Cohen had joined our firm as a partner. Dan Cohen's primary role will be to run our litigation practice and continue our long-standing policy of direct partner involvement in every case. In the 20 years prior to joining our firm, Dan Cohen has distinguished himself both as a prosecutor and as a civil litigation partner at two of New Jersey's leading law firms. - First, one of our partners handles or supervises every matter, maintaining at all times a global view of the client's interests and not just the narrow matter at hand. - Second, since we are equally comfortable doing business deals or litigating to enforce them, we can and do move seamlessly from the boardroom to the courtroom and back, always maintaining our focus on the big picture--the client's short-term and long-term objectives. - Third, for the firm itself, we always think long-term; we give each client prompt, responsive and thorough service and collaborate with the client concerning business and litigation strategies so as to attain the client's goals within his or her cost parameters. Practice Areas: Business Law, Corporate Law, Partnership Law, Limited Liability Company Law, Business Formation, Business Acquisitions, Secured Transactions, Commercial Real Estate, Commercial Transactions, Commercial Leasing, Real Estate, Construction Law, Creditors Rights, Environmental Law, Labor and Employment, Insurance, Civil Litigation, Commercial Litigation, Complex Business Litigation, Commercial Collections, Civil Appeals, Foreclosures, Creditor Bankruptcy, Bankruptcy Litigation, Workouts, Bank Collections, Lender Liability, Loans, Personal Injury, Negligence, Business Torts, Estate Litigation, Employment Claims, Arbitration, Probate, Trusts and Estates, Estate Planning. Dan Cohen's primary role will be to run our litigation practice and continue our long-standing policy of direct partner involvement in every case. Since we are equally comfortable doing business deals or litigating to enforce them, we can and do move seamlessly from the boardroom to the courtroom and back, always maintaining our focus on the big picture--the client's short-term and long-term objectives. Daniel Cohen has over 20 years of experience in state and federal courts in New Jersey and numerous other jurisdictions in a broad range of areas, including complex, multi-party and class action litigation. His practice includes commercial litigation, contract disputes, labor and employment, lender liability, business dispute litigation, insurance coverage, appellate practice, pharmaceutical litigation, products liability, toxic tort litigation, and white collar criminal defense. Dan represents a variety of businesses, which range from publicly traded companies to small businesses, offer an array of services, and include chemical manufacturers and distributors, advertising and marketing companies, information technology companies, real estate developers, real estate holding companies, restaurants, staffing agencies, lending institutions, healthcare companies, and textile importers. Dan also represents executives in connection with the variety of legal matters that executives encounter during layoffs, reductions in force, mergers, changes in control and other displacements. Dan serves as general corporate and litigation counsel to a number of small, mid-sized and publicly-traded companies that provide a variety of services and products. He advises clients in a variety of areas, including employment and human resource issues, business disputes, contract disputes, corporate and business formation needs, and the preparation, review and negotiation of all types of commercial contracts, including confidentiality and non-disclosure agreements, licensing agreements, employment agreements, master service agreements joint venture agreements, buy/sell agreements and vendor contracts. Dan also represents pharmaceutical and medical device manufacturers in the defense of complex liability and mass tort litigation. He has served as national counsel for a publicly traded premiere biopharmaceutical sales and marketing services provided in a nationwide mass tort involving a recalled prescription cholesterol-lowering pharmaceutical, and as New Jersey counsel for a major international pharmaceutical manufacturer in one of New Jersey's largest mass torts involving atypical antipsychotics. He has also handled cases involving a wide variety of prescription and OTC pharmaceuticals, including analgesics, hormone replace therapy, pain medications, acne medications, and asthma medications. Dan also represents a number of businesses that provide related pharmaceutical services, including sales, market research, medical education programs, web-based patient education programs, and brand positioning. Dan served as judicial clerk to the Honorable Wilfred P. Diana, Superior Court of New Jersey, Chancery Division, General Equity Part, Somerset, Hunterdon and Warrant Counties, for the 1991-1992 Term. From 1992-1995, he served as a Somerset County Assistant Prosecutor. Dan has earned an AV Peer Review Rating from Martindale Hubbell, the highest rating for legal ability and general ethical standards. 1991, New Jersey and U.S. District Court, District of New Jersey; 1993, Maryland; 1994, District of Columbia; 2005, U.S. Court of Appeals, Third Circuit. Selected by the New Jersey Law Journal as one of New Jersey's "Top 40 Under 40" in 2004.